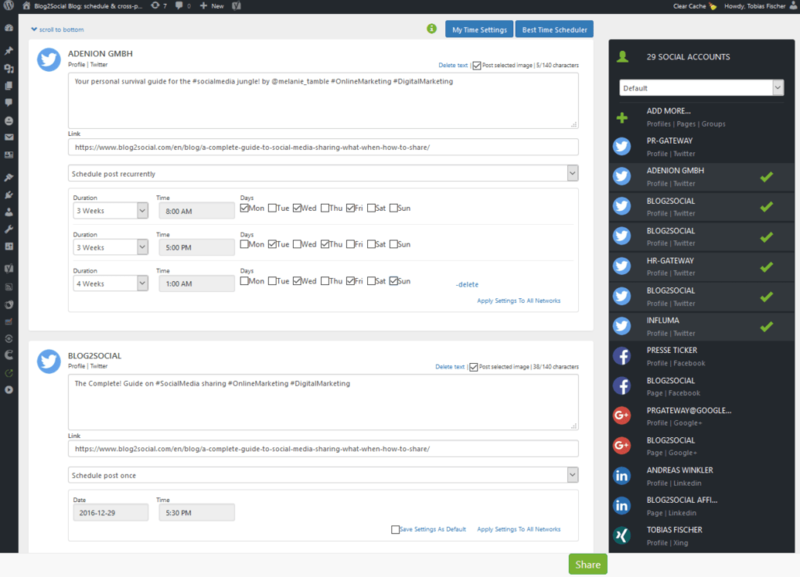 Share and schedule your blog posts automatically with individually tailored social media posts and best time settings for each social network and community. More and more social media channels are creating more and more challenges for social media management. Social media automation can help to reduce the legwork. However, social media automation has pros and cons and should be used with care. Why tailored posts get more likes? Each social network is different and people use social networks for different purposes and at different times. And the social communities react differently to specific post contents and formats. Even if you share the same content across multiple social networks you might need to address each of your community in a specific manner to encourage engagement. 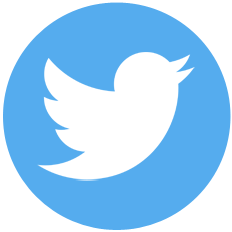 For example, your business contacts on LinkedIn, your followers on Twitter or your friends on your Facebook profile. Selecting image post or link post formats can also have an enormous impact on the reach of your post. Personal comments, questions or call-to actions encourage followers to engage, like, share or comment on your posts. 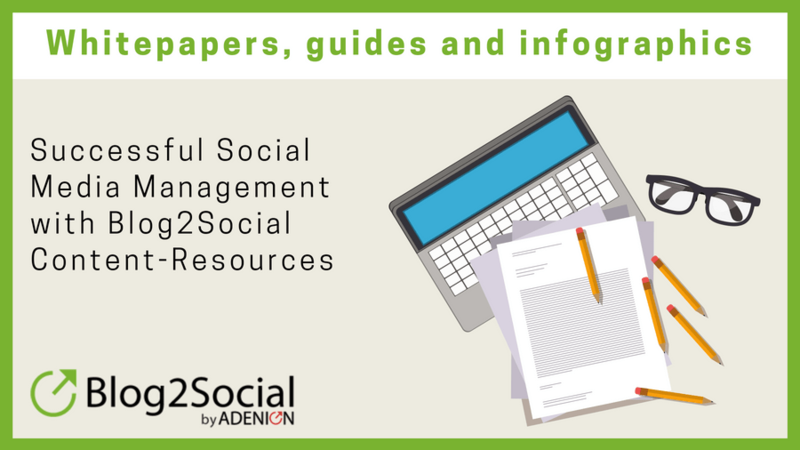 With Blog2Social, social media media you can individually tailor and shedule your posts at the best time for each social media platform and automatically share on profiles, pages and in groups. 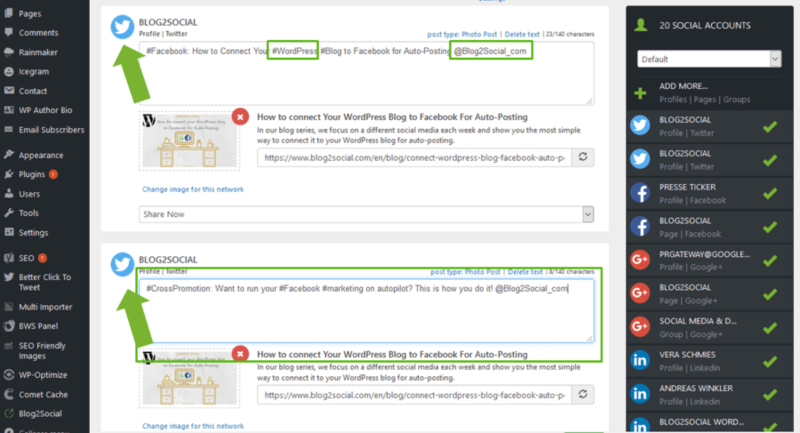 Blog2Social automatically turns your social media posts into an optimized format for each network. A network preview shows all posts for the connected and selected social networks. Each post contains a prefilled text in the available number of characters per network. You can edit each post with individual comments, hashtags, handles or emojis via the editing fields. Even the individual tailoring of all social media posts for all networks does not take more than 5 minutes of your time and saves at least half an hour of manual work for sharing your posts on each social media platform. Each network is used for different purposes and at different times when communities are most likely to be active. Scheduling social media posts at a specific time for each network and community will increase the chance for your post to get noticed and extend the life time of your posts. 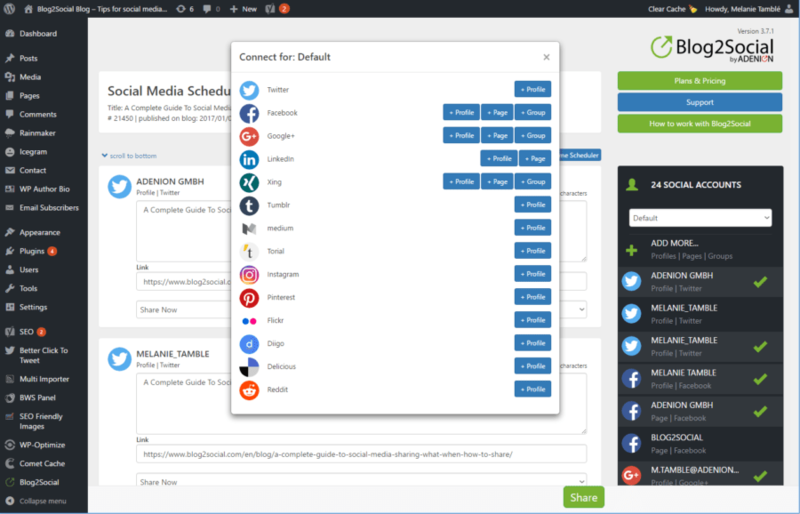 Blog2Social provides a a predefined Best Times Manager to automatically share the social media posts the best time for each network or at your personal best time settings. 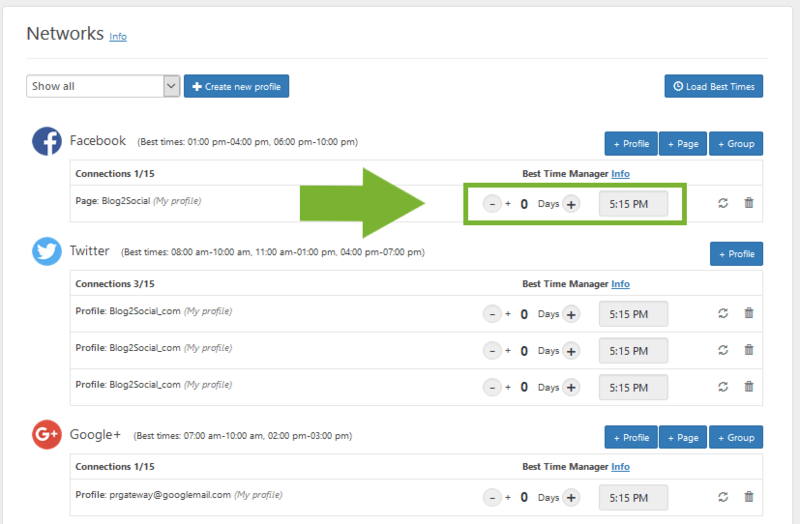 You can define your individual time settings and save them as a personal best time scheme. Both options can be changed at any time for each post and each network. 1. Click the “Add New” link on your left-hand navigation bar. 1.1 Enter “Blog2Soical” in the keyword search at the upper right corner. The plugin appears in your search box. 1.2 Click on the”Install Now” button on the top right in the plugin window. It opens a layer. 1.4 After the installation process, the plugin will be added to the left-hand navigation bar in the backend of your blog. Click “Add New” on the left-hand navigation bar in your WordPress dashboard and then click “Upload Plugins” on the top of your central window. 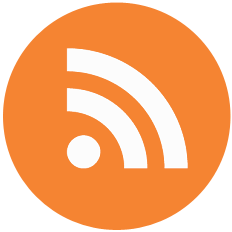 Select the downloaded plugin file on your hard drive and install the file on your WordPress. 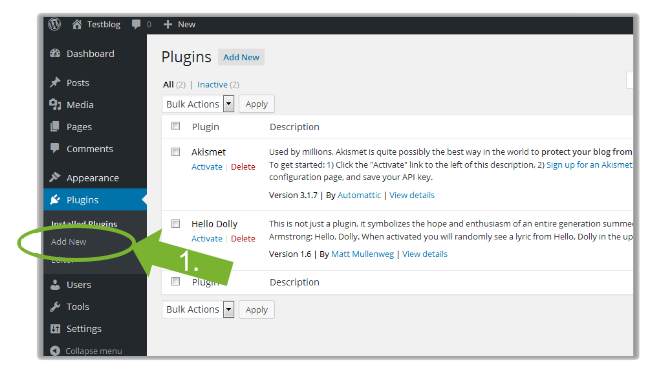 After the installation process the plugin can be found on the left-hand navigation bar in the backend of your blog. Troubleshooting / Problems with the installation routine? This error informs you, that you have not sufficient rights for the WordPress installation directory. To solve that problem, you will need to have “read and write” access permissions on your WordPress subdirectories on your server. Usually, the settings and permissions of rights for directories are granted with an access to an FTP program, such as CuteFTP or Filezilla. The access permission rights are defined by numerical codes. . The correct numerical code for “read and write” access permission is “7-5-5”. This identifier defines the rights for the “Owner’s” “file name” as Read Write Execute, for the “Group” as (Read Execute) and for “Others” on (Read Execute). Please ask your administrator for clarification. This is a safety query of WordPress. Tap your FTP access credentials into the required fields to confirm that you are authorized to install plugins for your WordPress system. 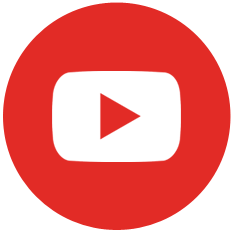 For more information and troubleshooting, take a look at our FAQ section. 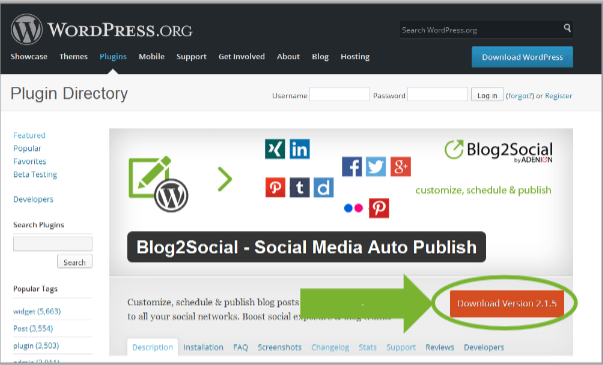 To connect your social media channels with your blog select the “Blog2Social” link on the left-hand navigation bar and then click on the „networks” link in the drop-down menu. The networks will show up on your central window. You also have the option to set up various sets of profiles, pages and groups in order to post certain posts to thematically different pages and groups. 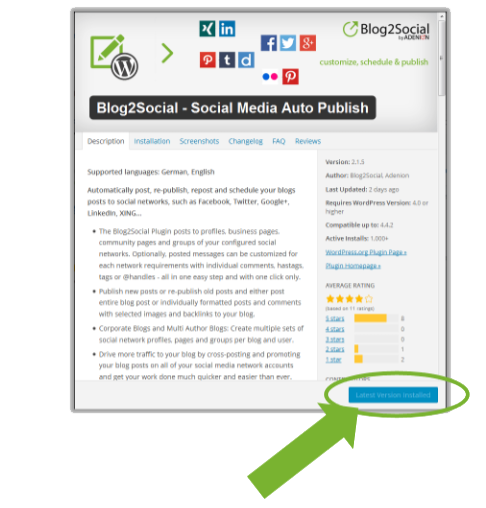 After installing and set up, the plugin is ready to help you with your blog marketing. You can also send your post from the overview section of your posts. 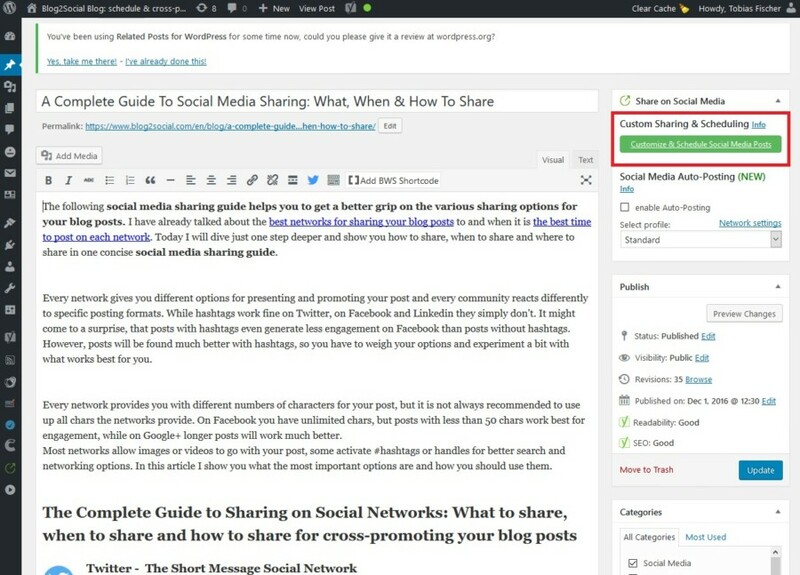 Select the „All Posts” link in the Blog2Social drop down menu on the left-hand navigation bar, select the article you would like to share and click the green button “Publish on social networks”. You can also re-post older articles from here. 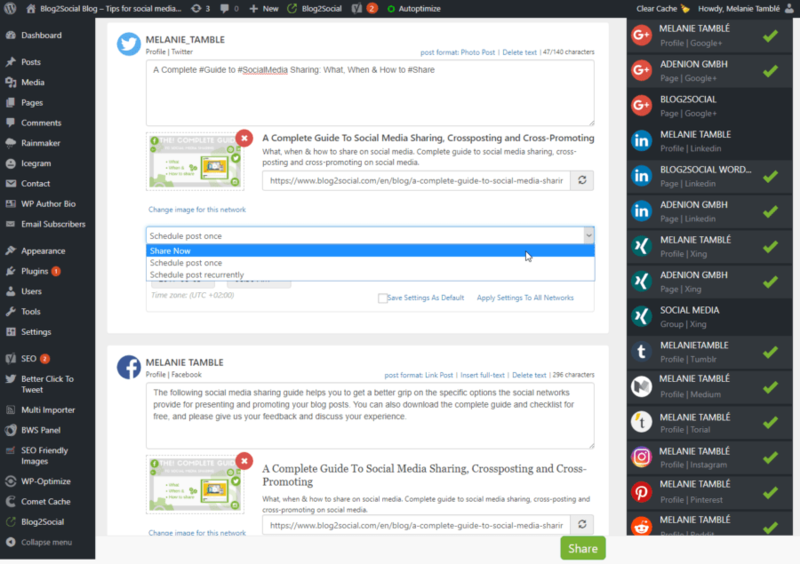 With both options you will get to the network preview with a one page aeditor for all networks you connected to Blog2Social for a specific sharing purpose. 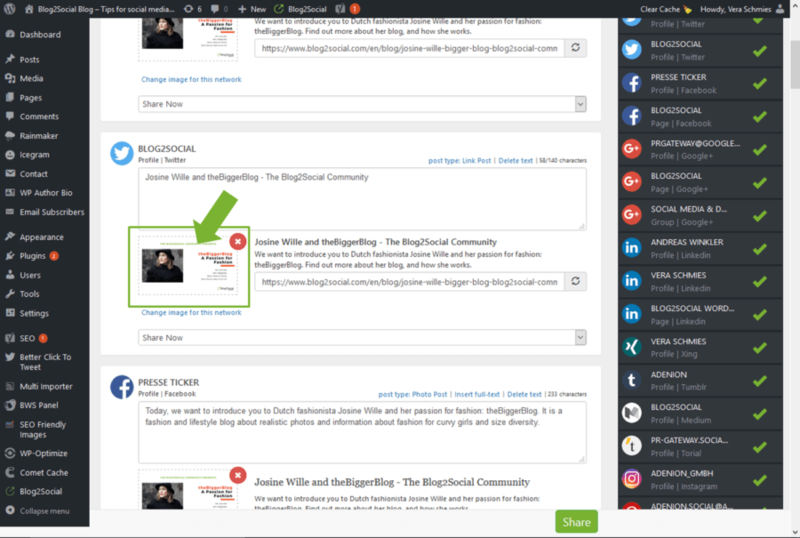 Blog2Social automatically turns your blog post into an adapted social media posts with a comment in the appropiate length for each network. Optionally, edit, customize and schedule your social media posts in order to adapt the message text for a specific network or community. You can do this all in one place and within one easy workflow. Images can double the click-through rates. Photos, graphics and videos can generate additional traffic from search engine image and video searches as well as from image networks such as Pinterest, Instagram and Flickr. However, a blog post often contains more than just a featured image. In order to maximize the potential of your post, share all the images from your post, but also re-share your post by selecting different images each time. 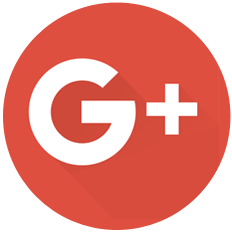 This also gives you more visual variations when sharing your post across multiple social network accounts and communities. 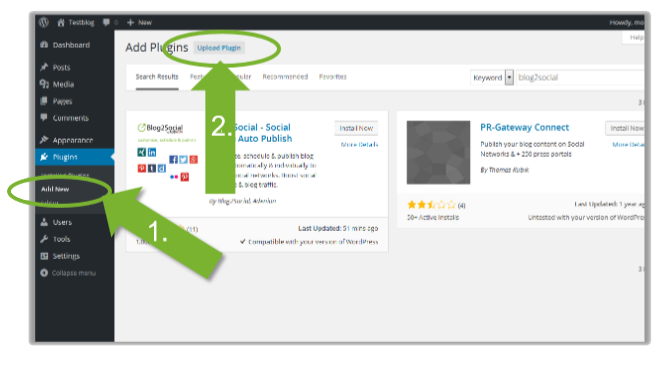 Blog2Social allows you to select an individual image for each network and community. Images and other graphics from your blog post gallery, your media gallery or any other source on your device can be shared on Pinterest, Instagram, Flickr and other social networks to sttract mor eyeballs and generate more outreach for your post. Each network is used for different purposes and at different times when communities are most likely to be active. 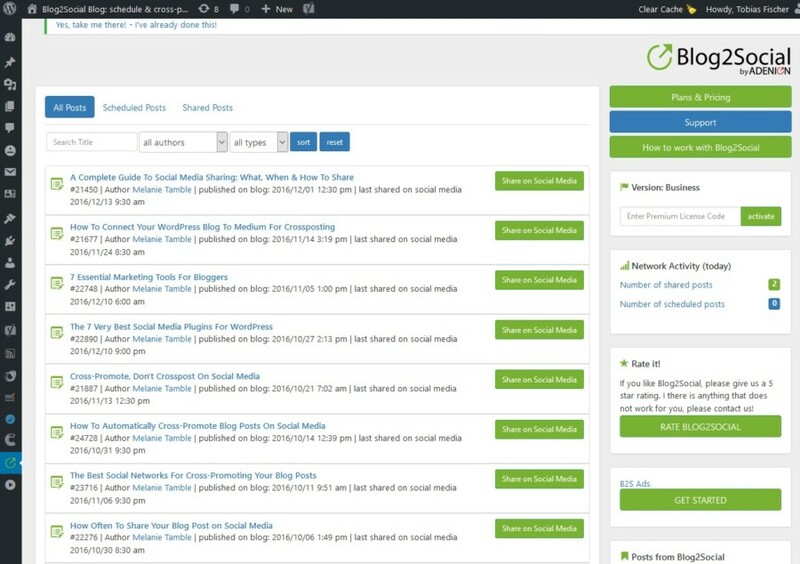 Scheduling social media posts at a specific time for each network and community will increasy the chance for your post to get noticed and extend the life time of your posts. You can choose to share your posts on Facebook immediately or schedule them for a later date. 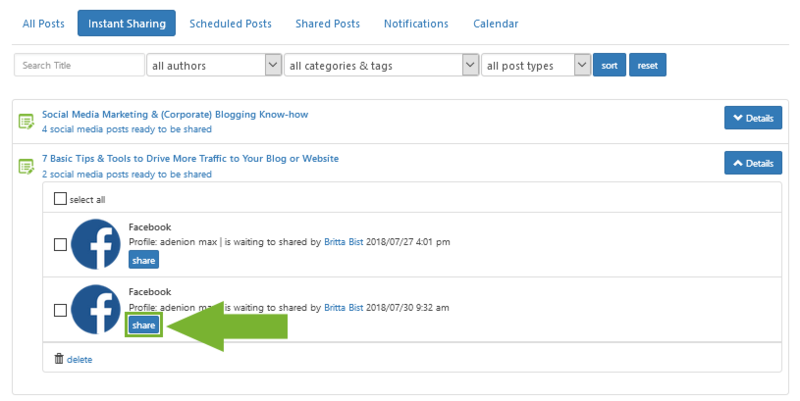 After scheduling your posts, they will be listed in the “Scheduled Posts” tab on your “Posts & Sharing” navigation bar. On your scheduled date, your posts will move to the “Instant Sharing” tab and you can click on “share” to send them to your Facebook Profile instantly. Clicking on “Share” will take you to the Facebook Instant Sharing window. Facebook Instant Sharing offers multiple ways to tailor and share your Facebook posts. Learn more about Facebook Instant Sharing. You’re done! 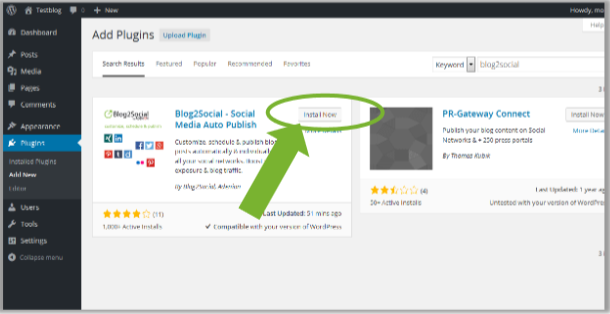 Click on the green button “publish post” to let the plugin work the rest for you. 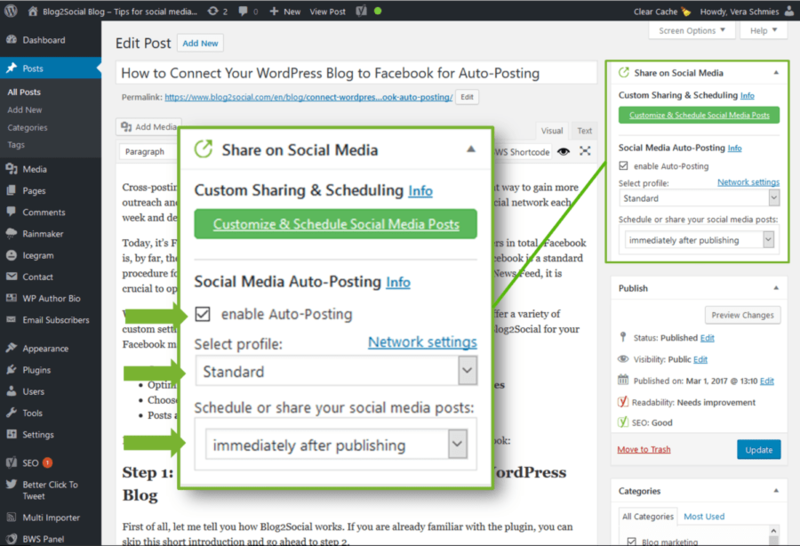 Your blog posts will be shared automatically at your scheduled times on your selcted social media channels.